Re-invent and negotiate the complex mix that encompasses the next city. Urbaneering is a new profession the complex mix that encompasses the next city. 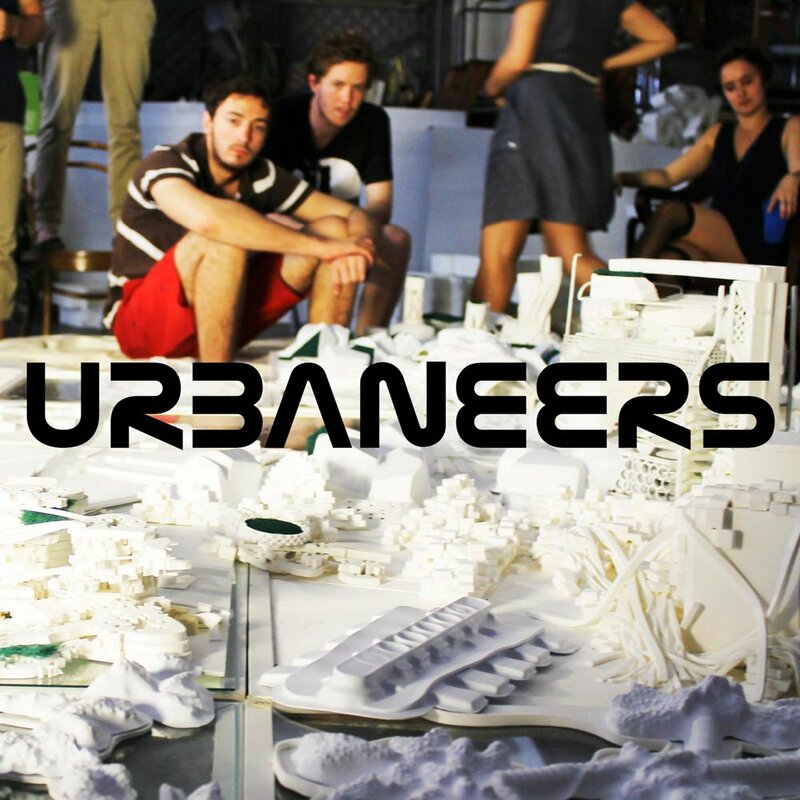 Urbaneering is a new profession that can re-invent and negotiate encompasses the next city. Whose job is it to create a city? Our intention is to jumpstart a new profession that can re-invent and negotiate the complex mix that encompasses a city. We have defined a radical new occupation to regenerate, pioneer, and sustain the future urban realm. These innovative multi-disciplinarian advocates are called Urbaneers. Their immense task is to manifest and facilitate the City 2.0 across the globe. Each Urbaneer is an individual with a different set of versatile abilities that merge previously disparate occupations. They range from combined ecological architects and engineers to action based urban planners and developers. Almost any recombined professional activities will work, so long as they meet the constantly changing needs of urbanization. Urbaneers perform in a role akin to Jane Jacobs, but at the magnitude and accomplishment of Robert Moses. An excellent historical example of an Urbaneer is Frederick Law Olmstead. For years, we have shaped a school called ONE Lab that has expanded on this very notion. ONE Lab instructs in the art of Urbaneering to people seeking to augment their sensibilities and operate within cities. We wish to further develop an Urbaneer curriculum at ONE Lab. ONE Lab was founded as an urban non-profit group concerned with research and education in the synthesis of urban thinking. It began as an extraordinary think tank of architects, engineers, media artists, biologists, industrial designers, urban ecologists, physicists, and planners seeking alternatives to traditional forms of teaching and professional practice. Through our interaction, we exposed the need for an interdisciplinary pedagogical free zone, where students and practitioners can generously discuss and conduct experiments that have a positive effect on the global community. ONE Lab is poised tocultivate change. Our laboratory advances professionals towards an intellectual schema that recalibrates the meaning of city. ONE Lab promotes the investigation and erudition needed for the first generation of Urbaneers. Ultimately, the job of city creation belongs to everyone including a new cadre of highly trained specialists. Our action plan has already taken effect. We started ONE Lab in 2009 at our nonprofit organization Terreform ONE. We’ve had over a two hundred full-time summer students attend the lectures, workshops and studio courses. The growing success of ONE Lab also points to the increasing number of people who are interested in DIY and collective modes of practice. At this point we wish to begin a year-round effort in the Spring Term of 2013. At our building the Metropolitan Exchange in Downtown Brooklyn, we are expanding to 15,000 sq ft. of space to sponsor lectures, perform workshops and hold public exhibitions. We are working with Macro Sea Inc. to transform the Brooklyn Navy Yard Turbine Building 128, a stunning former shipbuilding factory, into a collaborative design and technology center that encourages inventiveness. In the Fall of 2014, ONE Lab will be joined at the Navy Yard by other design schools and cutting edge design companies to create a hub of innovation promoted by the NYC Mayor’s Office. ONE Lab advocates urban thinking by cultivating community organizers and activists. Today, city government and grassroots movements require more demands than traditional silo encapsulated professionals can procure. We must break away from insular territories of knowledge and redefine the limits of future neighborhoods. Urbaneers have the technical knowhow combined with conceptual exuberance. In order to redefine our urban community we need to redefine the supportive disciplines that instigate it. In its simplest form, an Urbaneer is someone with an existing career track that adds a consecutive qualified activity to focus on cities. This focal point can be in concepts of waste, food, water, air quality, mobility, energy, and culture. Our educational venture, ONE Lab, is poised to cultivate this change. Our school boosts people into an advanced intellectual filter towards the recalibration of the city. As members of an urban community, Urbaneers can serve to better inform leaders or become leaders themselves. Our Urbaneering program at ONE Lab aspires to create a vision of the next city. The mission is to form heterodox approaches urgently needed in the age of natural resource scarcity. We seek synchronized global and local solutions that can open the sociopolitical borders that all too often disconnect design from people. Our overarching aim is to develop a language of urban thinking that can create proximity between individual responsibility and the current global environmental crisis. We perceive environmental problems as an issue of human alienation from the natural world, and our initiative will explore ways in which design and science can reformat this separation. Innovation, for us, is the answer to equitable cities and eco-systems. The City 2.0 needs a new breed of communicator. A person skilled in the art of cites beyond the typical planners, civil engineers, and architects of today. These fields need a multifaceted filter of reason to incorporate a profound comprehension of place. An Urbaneer posits the solutions to urban problems that normally take multiple disciplines to solve. Why can’t an architect design a transportation system or an ecologist design a building complex, or an automotive engineer design an urban landscape? We are looking to merge the edification and skills needed to reform the city of today. We desire to learn more about mechanisms of change that reach the public. How can city thinkers communicate and receive continuous feedback to the denizens of a place? It’s vitally important to reinvestigate theories and projects such as the Masdar City, NYC Highline, Smart Cities, and Landscape Urbanism and redistribute their cathartic elements elsewhere. Every city is different, yet successful principles and patterns of dwelling are known. These are the methods to transfer into other environs. Through innovative education, we believe this is possible. ONE Lab develops its pedagogy based on the needs of interdisciplinary workshops and improvised studio areas. This rarefied mixture of different knowledge sets in close proximity formulated a unique alliance. Its shares values are evoked in dialogues between discipline groups in order to solve problems. At this juncture, freely organized teams produce solutions that can span multiple fields of expertise around the world. Eventually, we seek to create ONE Lab Urbaneer charters around the world.